PPU is offering wide range of cartridge cases and bullets for hand loaders. These components are made of high quality raw materials, tested in our own modern proof laboratory, with sever control during production process. 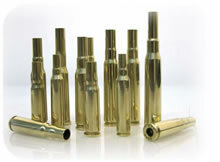 Their characteristic will provide the assembling of extremely accurate and safe ammunition. The cartridge cases of PPU can be reloaded several times, without loosing its quality, that's why they are very appreciated and demanded on the world market.